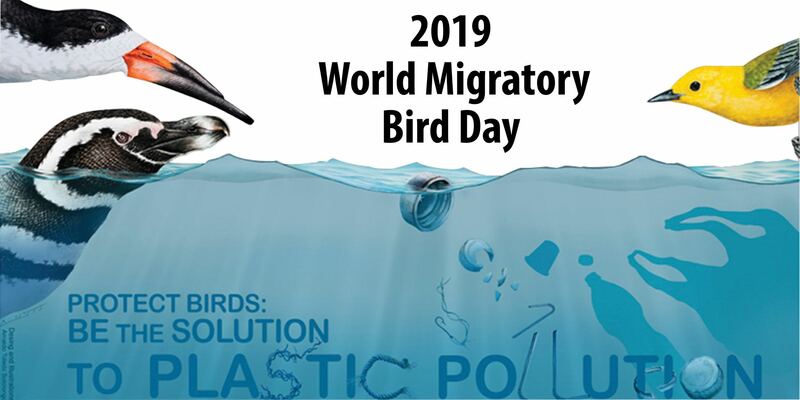 In 2019, World Migratory Bird Day (WMBD) tackles the issue of plastic pollution and its impacts on birds. Coordinated by Environment for the Americas in the Western Hemisphere and the Convention on Migratory Species to the east, WMBD celebrates the spectacular phenomenon of bird migrations while motivating actions that people can take to protect birds. This year, we encourage individuals and organizations to join us by sponsoring WMBD to help us provide the materials needed to coordinate cleanups in communities, on beaches, by rivers and lakes, and in other habitats. We also invite you to host your own cleanup, whether you are an individual, a family, a neighborhood, or an organization. Contact us at [email protected] for more information. This is our highest level sponsor and receives the most exposure and benefits including: Largest logo placement on the front of 65,000 printed educational materials; Acknowledgement in our monthly e-newsletter reaching over 8,000 engaged subscribers, during our annual sponsorship reception held in Washington, D.C., and in our social media; and Recognition at local, national, and international conferences and meetings. Americas Flyway sponsors may also receive WMBD materials to share with their partners, staff, chapters, and the public. This level also receives considerable exposure, with smaller logo placement on the front of 65,000 print materials. Sponsors at this level are also recognized via social media an web, at meetings and conferences, in our e-newsletter reaching over 8,000 engaged recipients, and at our annual reception honoring sponsors. This level recognizes sponsors on the poster back, on the front of the catalog, and online, as well as in our social media, on our website, and through our e-newsletter reaching over 8,000 recipients, in reports, and at our annual reception honoring sponsors. Smaller contributions are appreciated and will be recognized in our social media, on our website, through our e-newsletter, and in reports.